Are you ready to get your sweat on again? It’s the same concept as the first workout video but we are doing some new fun moves. I try to switch it up so that we don’t get bored, but if you preferred the first video, no worries, just go back and do that one again. Like last time, make sure you have plenty of space and a good surface to exercise on (move the loose area rug away). 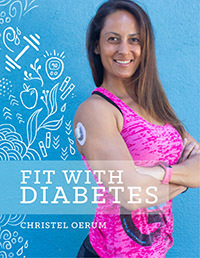 You don’t need any workout equipment, it’s all bodyweight exercises so find those good workout shoes, grab your bottle of water and have your diabetes gear (BG meter, juice or sugar tablets, etc.) handy. We’ll do 12 exercises for 30 seconds each, so it’s only 6 minutes for each round. I would like you to try for a minimum of 3 rounds (so 18 min. total workout) or even more if you have the energy. As always, please remember to listen to your body. If you need to modify an exercise, that is perfectly OK. It’s fine to do low impact or take a break, as long as you challenge yourself and stay safe. 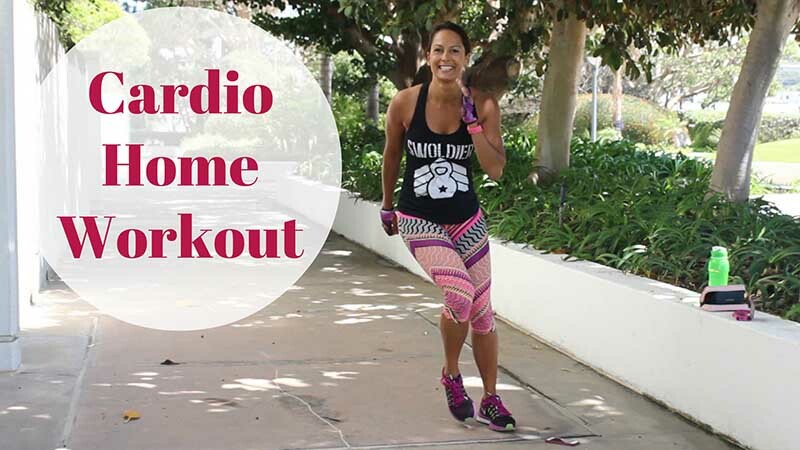 If you can’t do the exercises in this video (or just prefer other cardio activities), that’s perfectly fine as well. Go for a swim, a walk/hike or something else that will get your heart rate up. The important thing is to get moving! Finally, remember to check your blood sugar before, during (if needed), and after the workout. By tracking your blood sugars and what you eat and keeping a detailed log, you should start to see patterns soon. 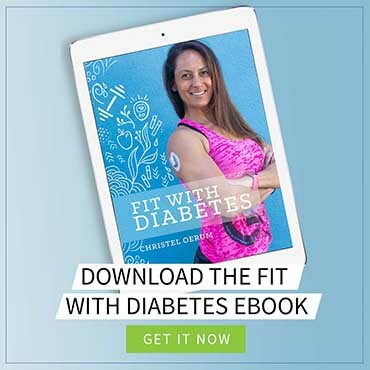 This will allow you to better adjust your diabetes care to prevent high and/or lows associated with exercise. If you’ve already downloaded the BG tracking sheet, please continue to use it. If you missed it last time, you can download it here in PDF or Excel. The first two lines are examples of how I use the sheet.